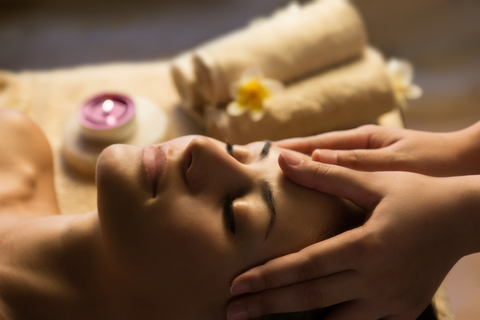 Spoil yourself or someone else and spend some time relaxing and reviving at Woodhouse Day Spa. Find out what the entire craze is about below. I had my sights set on a facial and with choices ranging from skincare to body massages, I opted for Woodhouse Signature Minkyti, a seaweed facial that regenerates your skin. The 80-minute Minkyti treatment relaxes your face and shoulder muscles while the facemask and fresh seaweed rejuvenate your facial skin cells. My Woodhouse specialist began with a warm and creamy deep massage and gently laid fresh seaweed on my face to soak it with the rich nutrients it needs. Like any good masseuse, the massage set me in a calm trance that I dreamt never would end. This spa can shed years off your face, mind and body. Now, what’s the price for some quality R&R? Of course, it varies depending on your spa selection, but for my glorious Minkyti facial and massage, I happily spent $160. I have to say; money has never been better spent. For about two bucks per minute I walked out of the spa and back into the real world feeling like a new person – more refreshed than ever before – and probably looking like one, too. Woodhouse Day Spa offers gift cards that are sure to please any friend or loved one. Don’t be afraid to love yourself first, though, and gift yourself a trip to revive.